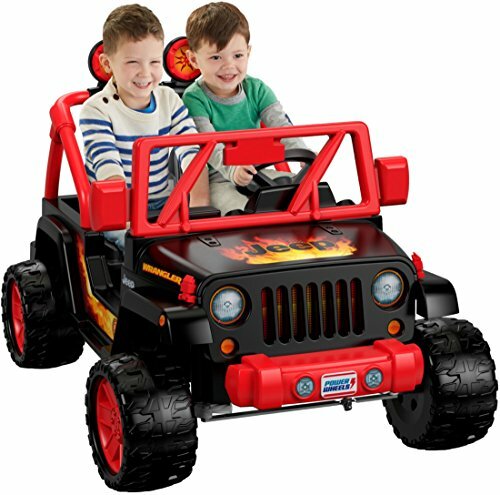 Completely redesigned with the latest Jeep styling, the Power Wheels Jeep Wrangler is the perfect vehicle for pretend “off-road” racing adventure! With the realistic Jeep grille, roll-bars, and front & back fenders, kids will feel like they’re driving the real thing! Plus, a larger cockpit area and increased wheel base gives kids more legroom and improved stability. Drives two speeds forward (2.5 & 5 mph max. ), plus reverse, on hard surfaces and grass, with a high speed lock-out option for beginners and Power-Lock brakes. 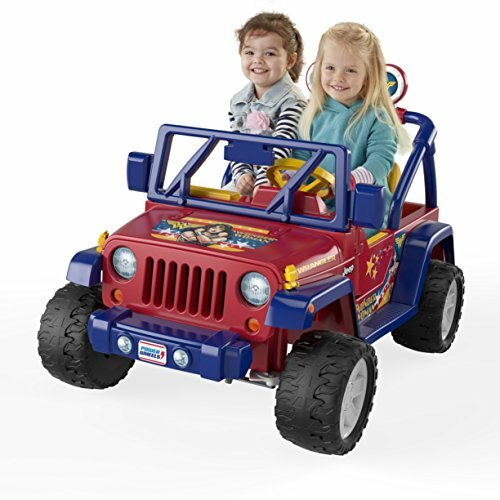 Get ready for tons of rockin’ and rollin’ with the Power Wheels Tough Talking Jeep Wrangler! 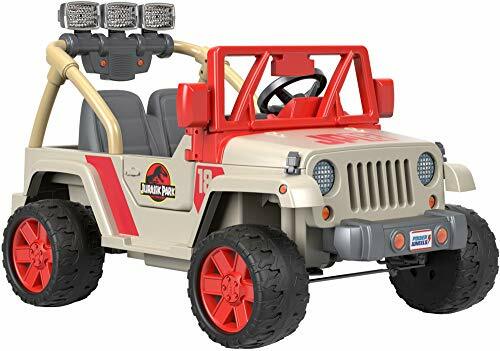 This rockin’ ride-on is equipped with a real working microphone featuring fun sound effects and a voice-amplifying speaker, two preloaded tunes and fun vehicle sounds on the pretend radio, and realistic Jeep Wrangler styling. The roomy rear storage area is perfect for storing all their on-the-go gear! And with two forward drive speeds (2.5 or 5 mph) plus reverse, this ride-on powers over hard surfaces and grass. Plus, it’s fully loaded with Power Lock brakes and a parent-controlled high-speed lock out for beginner drivers! 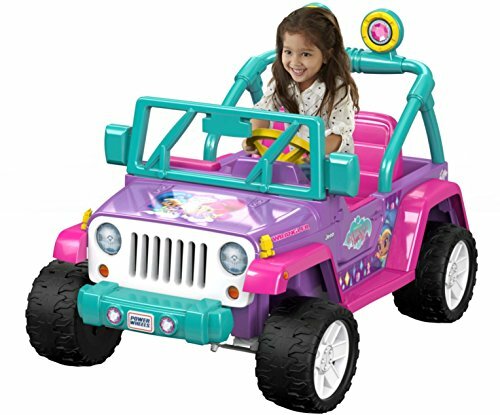 Young drivers can race into all kinds of magical Disney Princess adventures with this Power Wheels Jeep Wrangler vehicle! With Disney Princess colors and graphics, a pretend radio with real character phrases and exciting driving sounds, and a spacious rear storage section for all their important take-along gear, this ride-on is a wish come true for your little driver. 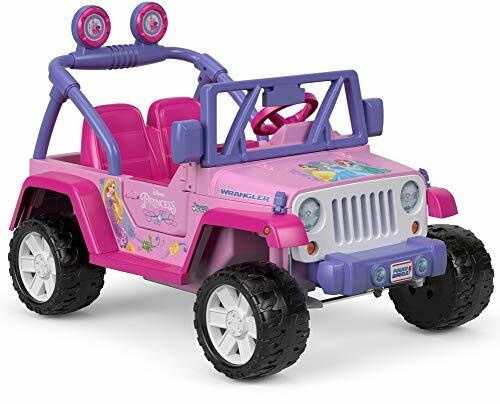 The Disney Princess Jeep ride-on also features a parent-controlled, high-speed lockout, a 12-Volt rechargeable battery, and Power-Lock brakes, too! Completely redesigned with the latest Jeep styling, the Power Wheels Deluxe Jeep Wrangler is the perfect vehicle for pretend “off-road” racing adventure! With the realistic Jeep grille, roll-bars, and front & back fenders, kids will feel like they’re driving the real thing! Plus, this Deluxe model offers extra features like a working radio, doors that open & close, “chrome” accents and working lights! In addition, a larger cockpit area and increased wheel base gives kids more legroom and improved stability. Drives two speeds forward (2.5 & 5 mph max. ), plus reverse, on hard surfaces and grass, with a high speed lock-out option for beginners and Power-Lock brakes. 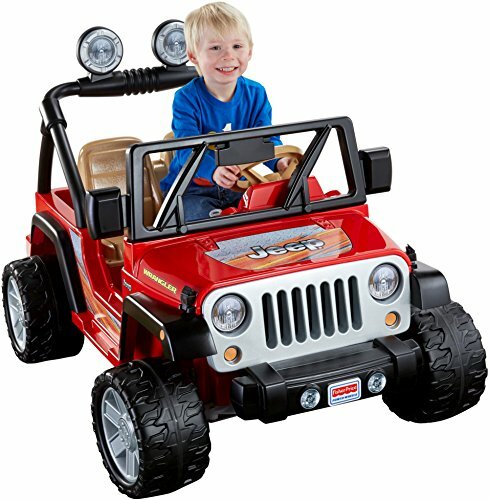 Designed to look just like the real thing, this Power Wheels Jeep Wrangler battery-powered ride-on sports a distinctive grille, roll bars, real working doors and a rear storage area. Plus, it features adorable Shimmer & Shine, colors and graphics – and a pretend radio with character phrases, songs and sounds from the show – to get magical adventures rolling! 12-volts of battery power allows kids to drive two speeds forward (2.5 and 5 mph max. ), plus reverse, on hard surfaces and grass. Designed to look just like the real thing, the Power Wheels Disney Frozen Jeep Wrangler offers a distinctive grille, roll bars, real working doors and a rear storage area. This model also features a pretend radio with songs from the Disney Frozen movie! 12-volts of battery power allows kids to drive two speeds forward (2.5 and 5 mph max. ), plus reverse, on hard surfaces and grass. 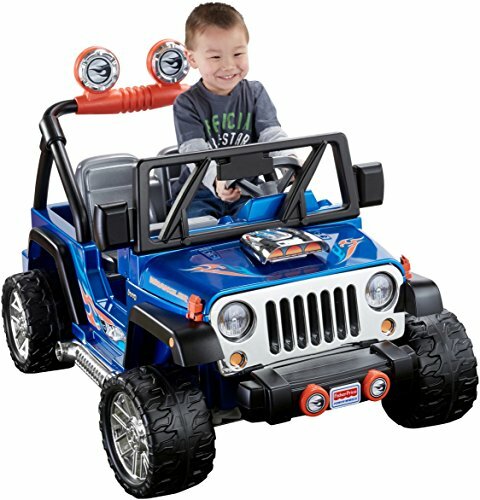 Looking for more Fisher Price Power Wheels Jeep Wrangler similar ideas? Try to explore these searches: Dodge Durango Replacement Driver, Rutilated Quartz Cabochons, and Permanent Roof Anchor. 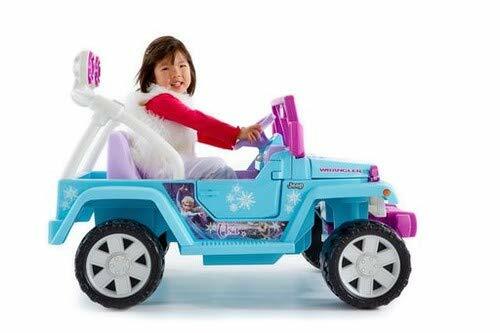 Look at latest related video about Fisher Price Power Wheels Jeep Wrangler. Shopwizion.com is the smartest way for online shopping: compare prices of leading online shops for best deals around the web. 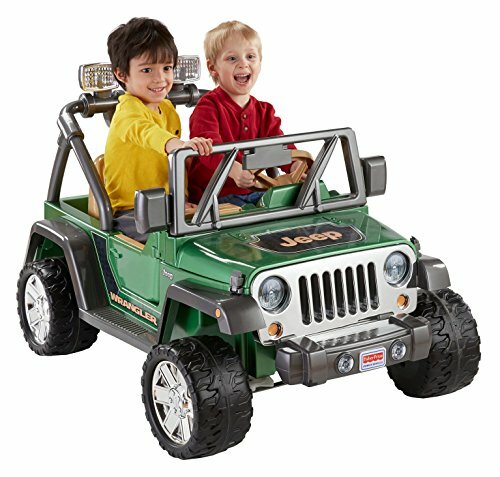 Don't miss TOP Fisher Price Power Wheels Jeep Wrangler deals, updated daily.